Here at Conversion Sciences, we tend to focus a lot on website optimization, but in 2017, your website isn’t your only option for driving sales. Over the last few years, social media sites have begun building ecommerce solutions directly into their platforms, allowing businesses to attract and sell to their target audience directly through their social pages. With a few niche-specific exceptions, we would never recommend making social commerce the central piece of your sales strategy. It’s never a good idea to put all your eggs in a basket someone else controls. But that said, if you aren’t taking advantage of social commerce in some capacity, you are most likely leaving money on the table, and we want to help you scoop that money right back up. Social commerce is selling that takes place directly through social platforms. Instead of using social marketing to drive visitors to your website, where you then convert them into customers, visitors are sold to directly on social media either in the form of a complete checkout experience or a “Buy Now” style click-through that triggers an off-platform checkout. This is a fairly natural and predictable next-step in the evolution of social media. After all, 74% of consumers already rely on social networks to guide their purchasing decisions. Eliminating the extra steps streamlines the process for consumers and brands alike. Each platform is a bit different, so we’ll take a look at each individually. Facebook led the pack when it comes to intertwining its platform with ecommerce features by introducing a “Buy Now” button back in 2014. While the button was active and used by several brands with some success, ultimately it was more of a beta test, as only select businesses could try it out. Eventually, Facebook opened the doors for all businesses to use the feature and has made a number of innovative additions since that time. 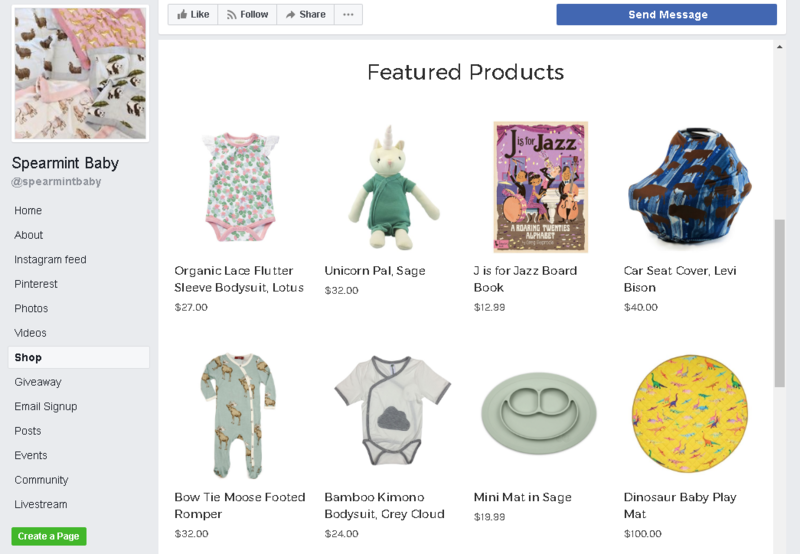 So, how do you set up a shop section on your Facebook page? 1. First, click the “+ Add Shop Section” button on your Facebook business page. 4. Add business and payment processing details such as your email address, business address, and Stripe payment processing login details. 5. On the next screen, you will be prompted to enter photos, the name of your product, price, description, shipping options, tax rates, and inventory count. Click Save when you are finished. Clicking on any of the product pictures or blue text below them will bring you to a checkout page where you can see more in-depth details on availability, purchasing, and ship times. Arguably, the biggest advantages of using Facebook for social commerce can be described in two words: targeting & messaging. Targeting is an area where Facebook is lightyears ahead of Twitter, Pinterest, and every other platform. Facebook sports a robust collection of data on all its users and has seriously sophisticated reporting features that give you the ability to specifically target your ideal customers to a very fine level of specificity. For example, with your ads, you can target new mothers, who have a Bachelor’s degree, within the age range of 18-38, within a 25-mile radius of Dallas, who have an interest in fashion, and speak English. Messaging is another area where Facebook has a competitive social commerce advantage. The number of Facebook’s mobile daily active users recently exceeded 1 billion and continues to grow. With this growth came a greater interest on Facebook’s part for streamlining their mobile experience, not only for content consumption but also social commerce. In early 2017, Facebook extended its “Buy Now” button to its Messenger application. This ecommerce integration gives your customers the ability to interact with a retailer’s bot which gives them yet another option to purchase products without ever leaving the Facebook platform. The bot conversation typically will start from a potential customer seeing an advertisement for your brand on their news feed. 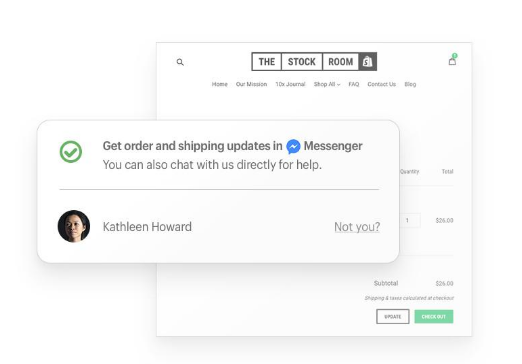 As an advertiser, you can select Messenger as a destination and have a bot walk them through the purchase which will show them the price, tax, shipping cost, and allow them to enter their shipping and payment info. Customers also get the added features of tracking product availability and shipping updates in real time. A quick way to utilize social commerce and get your store in front of potential customers is through buying advertisements. No platform is greater for your brand’s reach than Facebook. With 2 billion monthly users and an intensive arsenal of targeting features, the choice was a no-brainer for Spearmint LOVE to start advertising their line of infant clothes and accessories. The Spearmint LOVE team knew the power social influence could have on revenue and immediately started utilizing Facebook as a tool to share complete infant outfits with its followers. Shari Lott, the founder of Spearmint LOVE said, “I put up a photo of not just a shirt or shoes, but of an entire outfit. And moms will come to the site and buy everything in that picture.” Shari put her heart and soul into creating intricate blog posts and sharing them with compelling images on her Facebook page to grow her following. Eventually, she grew her brand to the point where she had over 200,000 fans, and an astounding 62.48% of them were actively engaged as shown below. Once Facebook launched their “Buy” call-to-action buttons, Shari and her team leaped at the opportunity to offer yet another channel to sell their products on. They wanted to give their customers every conceivable way to buy from them. This strategy quickly gained a lot of traction, and they found themselves with an extremely scalable and profitable advertising model. After careful analysis, John Lott, the CFO/COO of Spearmint LOVE, stated: “We’re looking at ad spends where we’re getting at least $5 of revenue or more, preferably closer to the $10 mark for every dollar of ads spent.” To acquire such a view of their ROI, John would measure total net new customers, and the net new customers acquired through aggregate ad spend. Spearmint LOVE has had a year-over-year (YOY) growth of 991% in revenue since launching their store with BigCommerce in 2013 and grew their revenue 1,100% in 2016. Instagram burst onto the scene in late 2010 and rapidly grew to 10 thousand users within mere hours of launching (thanks to beta sign ups). The site has grown to 700 million users over the last 6 years and became one of Facebook’s key acquisitions along the way. The platform has made a name for itself in the marketing and ecommerce spaces as the top platform for direct engagement with brand followers. In late 2016, Instagram began testing new CTA buttons which allowed companies to add links to their posts leading users off Instagram and onto their website or online store. You can select 1 of 4 CTA buttons which include “Shop Now”, “Install Now”, “Sign Up”, and “Learn More”. While Instagram has yet to include a complete checkout experience on-platform, given Facebook’s recent history, it would not at all be surprising to see fully on-site checkout experiences coming to Instagram in the near future. 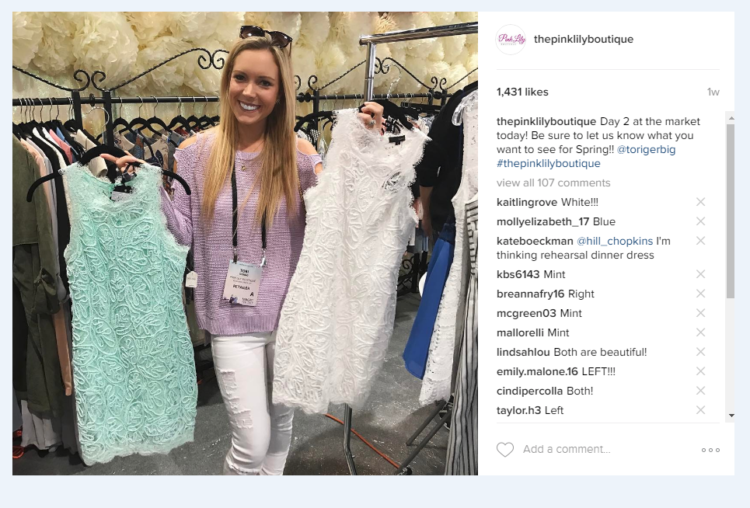 The Pink Lily Boutique is a unique women’s clothing retailer that has leveraged their nearly 250,000 Instagram followers to create a 1 million dollar per month business. It’s founders, Tori and Chris Gerbig, went from storing clothes in their garage and selling on eBay and Etsy to fulfilling over 600 orders a day from their warehouse. 1. Seek Out Feedback: Seeking out feedback from customers can give you much-needed insight into what products to sell and what not to. Pink Lily Boutique accomplished this through asking its followers to choose between two options. This strategy not only gives them much needed-feedback on which products to sell but also increases engagement rates on their posts and gives their followers a sense of investment into their brand. 2. 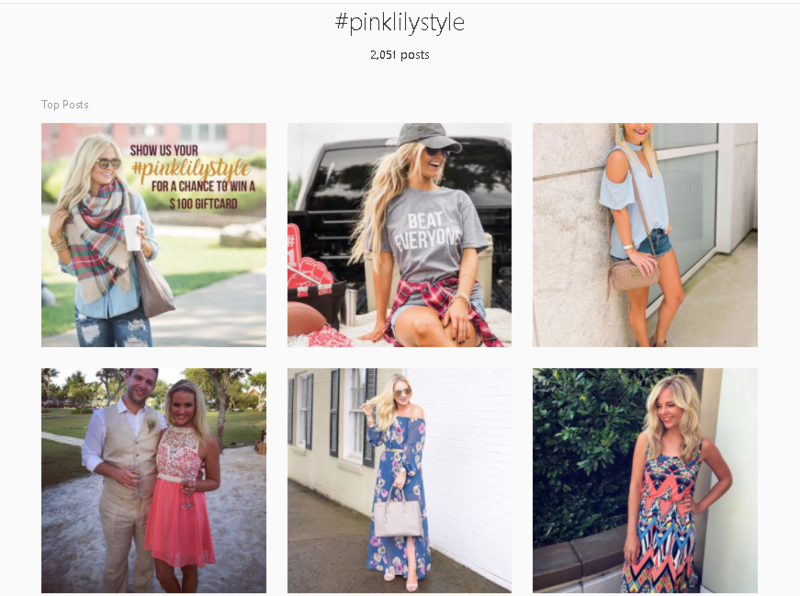 Post Often: Pink Lily Boutique posts as much as 8-10 times a day. This strategy is effective because it gives their followers fresh content more often which keeps them coming back multiple times a day. 3. Offer Giveaways and Hold Photo Contests: activities like these increase engagement even beyond Instagram’s already high engagement rate. Pink Lily Boutique runs contests where entrants must share a post and tag a friend to gain an entry to win free outfits and accessories. People love free stuff and giveaways will create loyal brand ambassadors. They also leverage their followers to create content for them through the use of hashtags. 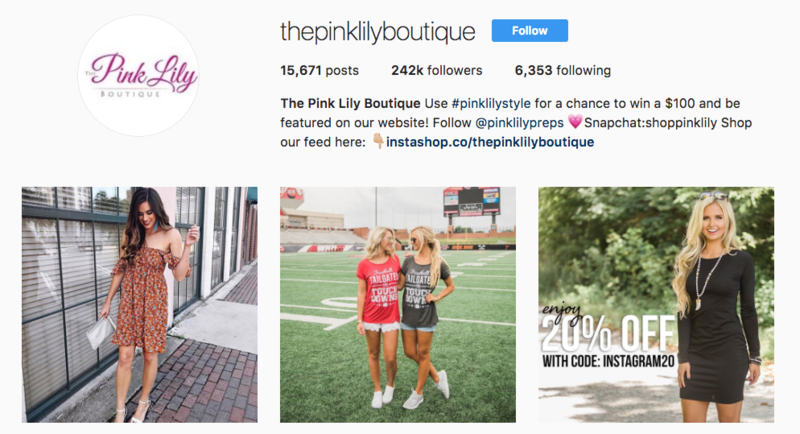 If anyone posts a selfie wearing Pink Lily Boutique clothes and uses the tag #pinklilystyle, then they will get featured on the front page of the brand’s channel. 4. Think Like A User: last but not least, they always ask themselves before posting: “Would I click on this ad?”. Tori and Chris know that you have to catch your audience’s attention in a few seconds or risk losing their interest altogether. 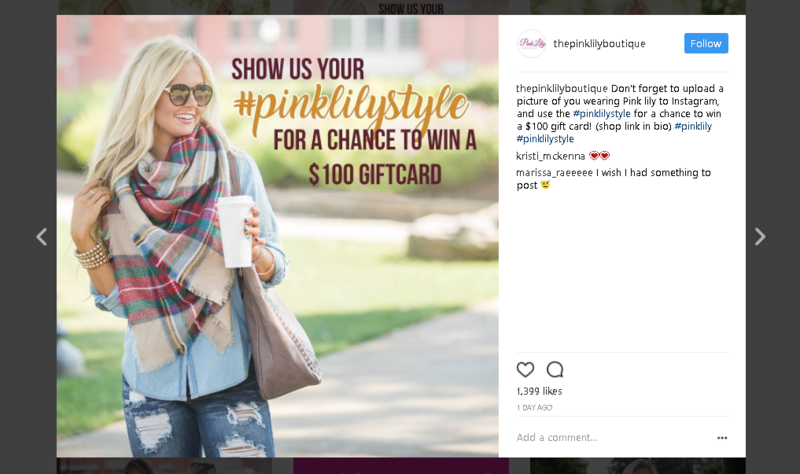 This exercise of putting themselves in their customer’s shoes has proved extremely successful to their Instagram strategy and has aided them in driving over 25,000 visitors per day using Instagram. With an impressive 175 million active users, Pinterest has been a mildly underappreciated selling channel for sometime now. Pinterest a niche paradise and a place for DIY enthusiasts, fashion lovers, chef extraordinaires and the businesses who cater to them. And while Pinterest has always been an effective marketing channel for certain niches, in the last few years, it has jumped into the social commerce ring by offering “Buyable Pins”. These pins are ideal for social selling and make it incredibly easy for users to purchase products directly from a Pinterest page. 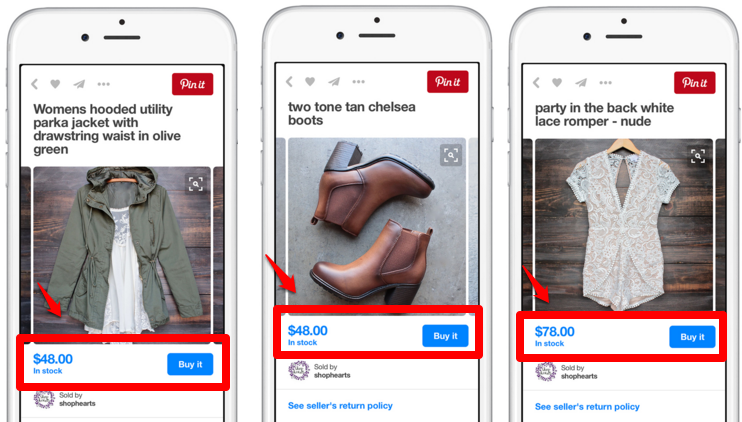 Similar to Facebook’s shop feature, Pinterest users can purchase without being redirected to an online store off Pinterest. This makes the interest-to-purchase cycle shorter and more consumer friendly by eliminating a number of extra steps. A user can browse Pinterest and stumble upon something that has the blue “Buy It” button which puts them within two to three taps of completing an order in full and receiving a receipt through email. 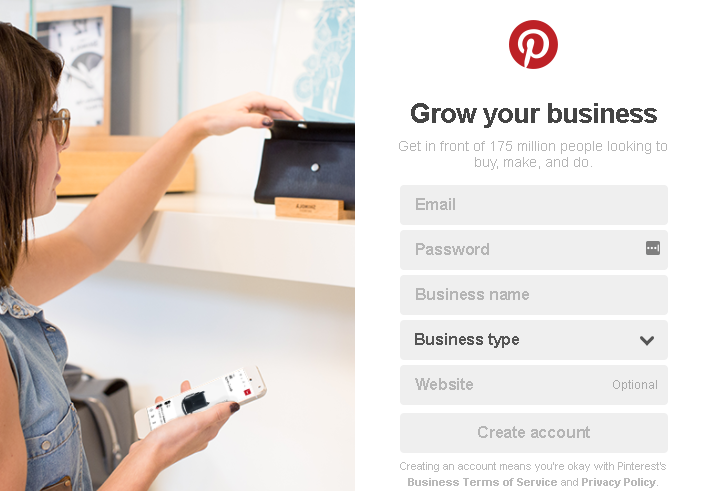 First, head over to Business Section of Pinterest and click “Join as a business” to create a new account or Convert to Business by logging in using your existing Pinterest login credentials. Going this route ensures that you will keep all your existing pins, followers, and boards in tact. Once you’re set up as a Pinterest Business page, you can start utilizing Buyable Pins. To get started, you will already have to have an account with either BigCommerce, Salesforce Commerce Cloud, or Shopify. These ecommerce solutions will integrate with Pinterest using an extension and will automatically create buyable pins to match existing products on Pinterest to those in your store. If you have any products that aren’t on Pinterest yet, then you will want to create new pins for those so the extension can match them. This process can take up to 5 days to get approved. Yes, I know we’ve used MVMT Watches as a case study before! This is different. This isn’t about their Kickstarter or their meteoric rise to fashion retail prominence. This case study specifically highlights their use of Pinterest as a direct selling platform, and it’s worth your time. MVMT Watches is no stranger to social selling. After initialing building their brand through Instagram, the company has also used Facebook extensively as a social commerce platform. In 2016, they began experimenting with Pinterest’s buyable pins and ran a promoted pin campaign resulting in double their typical conversion rate and the highest average order value they have seen from any traffic source. This strategy was so successful that over a three-month period, MVMT saw a 12-fold increase in Pinterest traffic and over 11,000 sales. A customer is casually browsing Pinterest looking at cool watches. 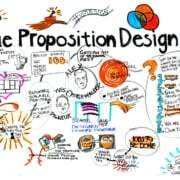 They come across a compelling product image and decide to investigate further by clicking it to get a better view or find out which company sells it. This action takes you directly to the products checkout page where you can customize your watch and have it in your cart in a matter of seconds. 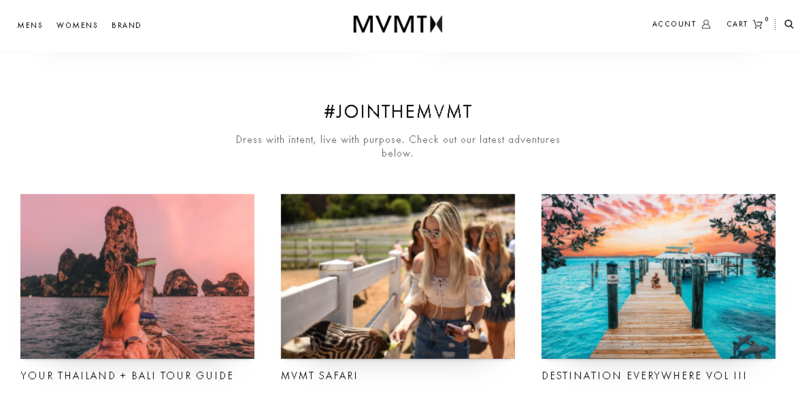 This social commerce strategy utilizing Pinterest cut down the path to purchase for MVMT customers by using pins that linked directly to the products checkout page. They found the promoted pin to be the best bang for their buck because unlike other ad formats, you would continue to drive sales after the promotional campaign had ended, as the pin stays up on your Pinterest board. As of 2017, optimizing your own website is still the most important investment you can make in ecommerce. Relying too much on a 3rd party platforms can easily backfire and destroy your business overnight. That said, what were are seeing today in the emerging social commerce field is just the beginning of a future where creating your own selling platform will no longer be viable. Like machine learning, this train has started and it will permanently change the game. If you’ve begun experimenting with social commerce for you own business, I’d love to hear about it. Drop me a line in the comments.